I truly had a lot of fun delivering the talk, but probably even more preparing for it. the HR function could really benefit from a more real world understanding of how information flows in its organization. Information flows through the *real* social network of people in your organization - independent of your "official" hierarchical / matrix-shaped org chart. Therefore it follows logically that it would really benefit the HR function to understand and analyse this information flow, through social network analysis. In recruitment, there is a lot to be said to integrate social network information into your recruitment process. This is logical: the social network will tell us something about the social, friendly ties between people - and that will tell us something about how likely they are to form good, performing teams. Several online recruitment platforms are starting to use this - eg. 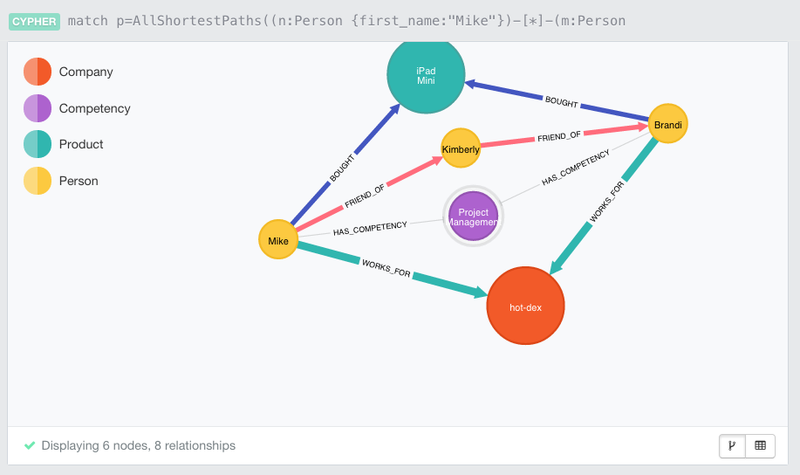 Glassdoor uses Neo4j to store more than 70% of the Facebook sociogram - to really differentiate themselves. They want to suggest and recommend the jobs that people really want. Graph Analysis queries: these are queries that look at some really interesting graph metrics that could help us better understand our HR network. There are some really interesting measures out there, like for example degree centrality, betweenness centrality, pagerank, and triadic closures. Below are some of the queries that implement these (note that I have done some of these also for the Dolphin Social Network). Please be aware that these queries are often times "graph global" queries that can consume quite a bit of time and resources. I would not do this on truly large datasets - but in the HR domain the datasets are often quite limited anyway, and we can consider them as valid examples. The queries for this entire demonstration are on Github. Hope you like it, and that everyone understands that Graph Databases can truly add value in an HR Analytics contect. Thank you for this excellent presentation Rik. Everybody learned a lot from you.